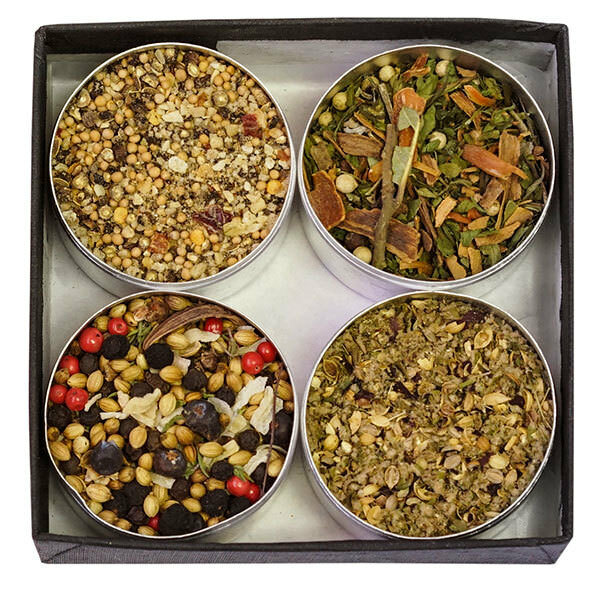 1642 is a unique blend of herbs and spices from another era that’s surprisingly useful for modern kitchens. 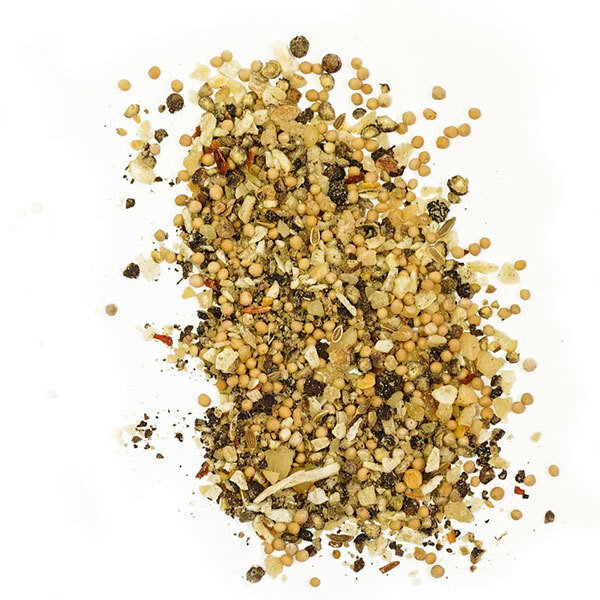 A delicate hint of sweet and aromatic spices, a good dose of black pepper, and a near-forgotten combination of both European and Canadian herbs all come together for a dynamite all-purpose blend that flavors soups, stews, pork and vegetable dishes. Thanks to extensive research published on Québec’s early food culture, museum archives, and 17th century French cookbooks, it is now possible to approximate the tastes and flavors of Montreal’s early years. Food, much less flavoring, was scarce, and it required enormous effort and ingenuity to make a satisfying meal. Seasoning was imported, cultivated, and foraged, and underwent untold changes as necessity and desire gave birth to a new Québec cuisine. The result is at once foreign and familiar. 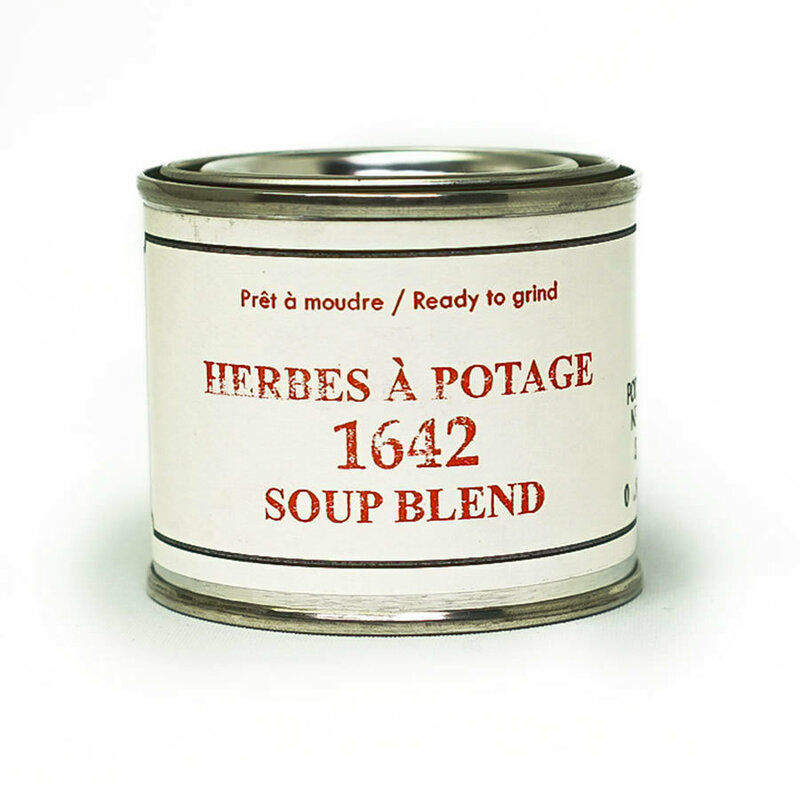 The 1642 soup blend represents a proto-Quebéc cuisine that will surprise cooks by its ease of use. 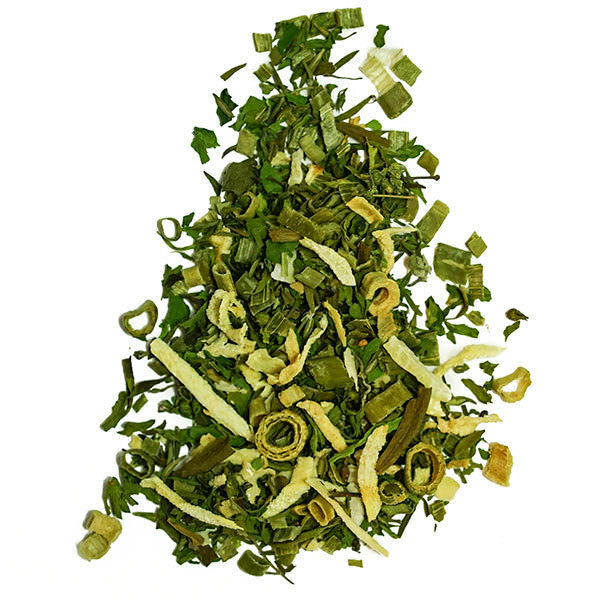 It is destined for vegetable soups, particularly those with cabbage, peas, potatoes, or turnips. Pork was a favorite of early early settlers and this blend works perfectly with dishes using ham or salt pork- not unlike today’s wintertime favorites! It’s sure to connect you with both the struggles and joys of the first Habitants. 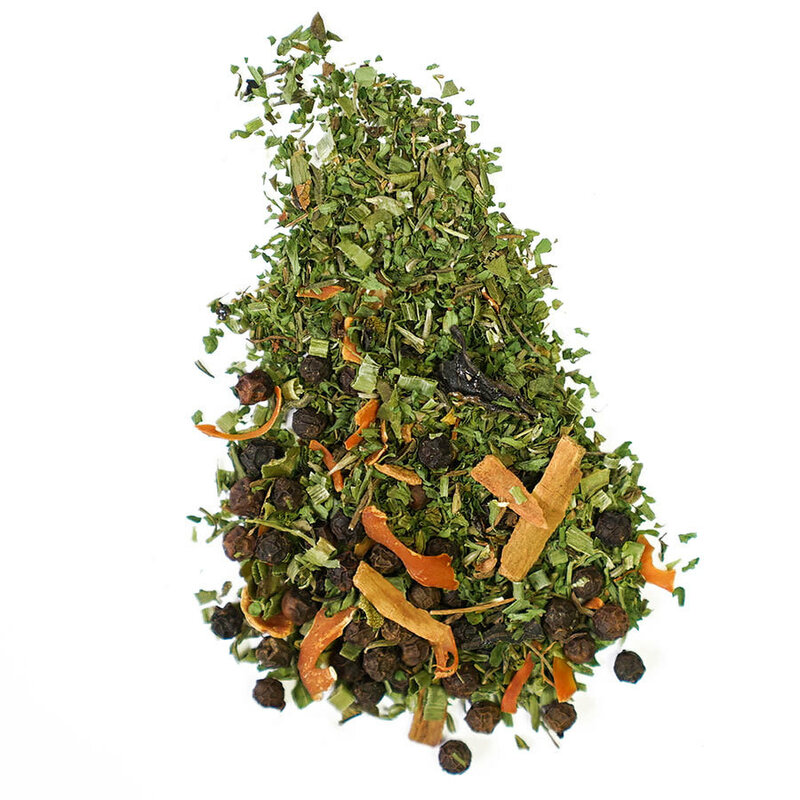 Ingredients: Pepper, parsley, mace, sweet fern, balsam poplar, thyme, celery seeds, tarragon, chive, cinnamon, clove. 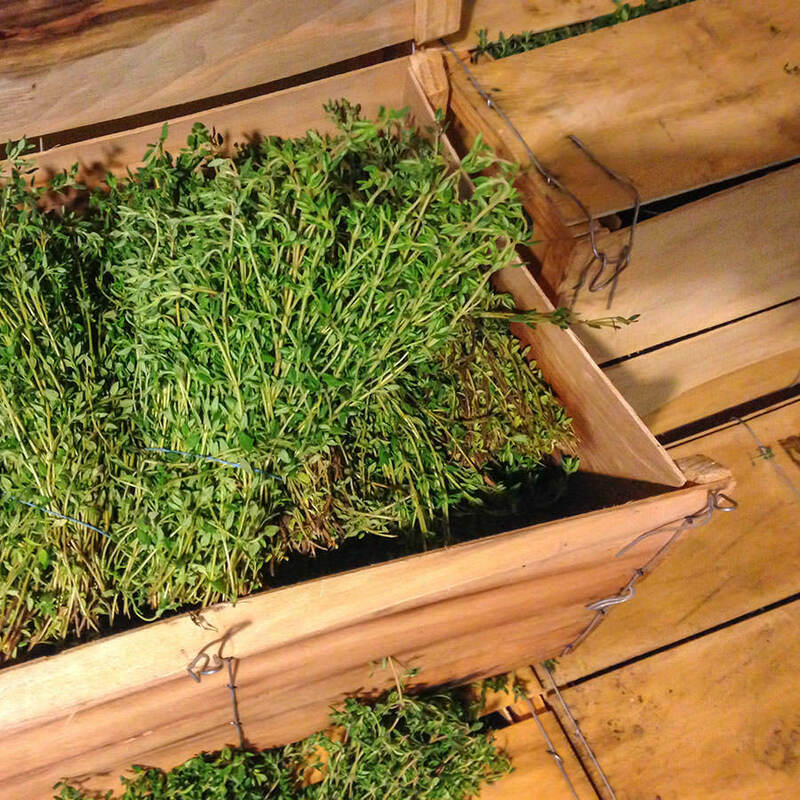 Herbs like thyme and tarragon were planted in the first decade of settlement, and have since taken on distinct new flavors in Québec’s unique terroir.